Tight manufacturing and accuracy specs mean you get the consistency and accuracy that the unforgiving field of competition demands. 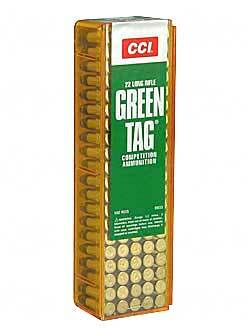 CCI loads rimfire match ammo to leave the muzzle sub-sonic. That means no buffeting in the transonic zone. Muzzle velocity 1070 feet per second.